ww2dbaseJosias Georg Wilhelm Adolf was born to Prince Friedrich, the head of the Principality of Waldeck and Pyrmont, and Princess Bathildis of Schaumburg-Lippe. He was named the Hereditary Prince (German: Erbprinz), ie. 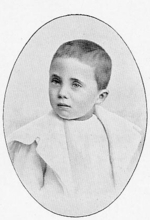 heir apparent, of the principality at birth. He was a distant relative to several prominent European royals, including King Wilhelm II of Württemberg and future Queen Wilhelmina of the Netherlands. During WW1, he served as a member of the German Army, and was seriously injured in combat. After the war, the Principality of Waldeck and Pyrmont was disbanded. He studied agriculture after WW1. In 1922, he married Duchess Altburg, daughter of Grand Duke Friedrich August II, with whom he would have a son (Hereditary Prince Wittekind) and four daughters (Princesses Margarethe, Alexandra, Ingrid, and Guda). In 1929, he joined the Nazi Party, followed by the Schutzstaffel (SS) organization four months later. After a few months as an adjutant to Josef Dietrich, he was made an adjutant to Heinrich Himmler, leader of the SS, in Sep 1930. In 1933, he was elected to the Reichstag, representing Düsseldorf-West. In 1939, he was promoted to the rank of Höhere SS- und Polizeiführer and was given charge of the police force in Weimar, Germany. This position put Buchenwald Concentration Camp under his command; the camp's corrupt commandant Karl Otto Koch was later executed after investigations ordered by Josias. In Apr 1941, he was made a member of the Ordnungspolizei police organization, with the rank of General der Polizei, on Adolf Hitler's orders. In 1942, he was made High Commissioner of Police in German-occupied France; in this role, he ordered German troop trains to also carry French civilians in an attempt to dissuade French resistance attacks. In Jul 1944, he was promoted to the rank of General der Waffen-SS. He was arrested by Allied authorities in Apr 1945 for his involvement with Buchenwald Concentration Camp; he was found guilty and was sentenced to life imprisonment in 1947. His father, Friedrich, passed away during the trial, thus making him the head of the Princely House of Waldeck and Pyrmont. In 1948, his prison sentence was reduced to 12 years on the orders of US military governor of Germany General Lucious Clay. He served his sentence at the Landsberg Prison in southern Germany through Dec 1950, upon which time he was released for health reasons. In Jul 1953, he was granted an amnesty by the Minister President of Hessen, Germany. He passed away at the family castle Schloß Schaumburg in Balduinstein, Germany in 1967. His title was inherited by his son, Prince Wittekind. 13 May 1896 Josias was born in the castle of Schloß Arolsen, Arolsen, Principality Waldeck and Pyrmont (now Arolsen, Germany). 25 Aug 1922 Prince Josias married Duchess Altburg, daughter of Grand Duke Friedrich August II of Oldenburg, in Rastede, Germany. 1 Nov 1929 Josias joined the Nazi Party. 2 Mar 1930 Josias joined the SS organization of the Nazi Party. 6 Apr 1930 Josias was promoted to the rank of SS-Sturmbannführer. 11 May 1930 Josias was promoted to the rank of SS-Standartenführer. 15 Sep 1931 Josias was promoted to the rank of SS-Oberführer. 15 Mar 1932 Josias was promoted to the rank of SS-Gruppenführer. 30 Jan 1936 Josias was promoted to the rank of SS-Obergruppenführer. 9 Mar 1936 Josias' son, Wittekind, was born at the castle of Schloß Arolsen, Arolsen, Germany. 30 Jan 1939 Josias was awarded the Golden Party Badge. 8 Apr 1941 Josias was promoted to the rank of General der Polizei. 1 Jul 1944 Josias was promoted to the rank of General der Waffen-SS. 13 Apr 1945 Josias was arrested by Allied authorities. 26 May 1946 Josias became the head of the House of Waldeck and Pyrmont upon the death of his father. 14 Aug 1947 Josias was sentenced to life imprisonment for his involvement with Buchenwald Concentration Camp in Germany. 8 Jun 1948 General Lucious Clay, US military governor of Germany, reduced Josias' life imprisonment term to 12 years. 30 Nov 1967 Josias passed away in the castle of Schloß Schaumburg in Balduinstein, Germany.